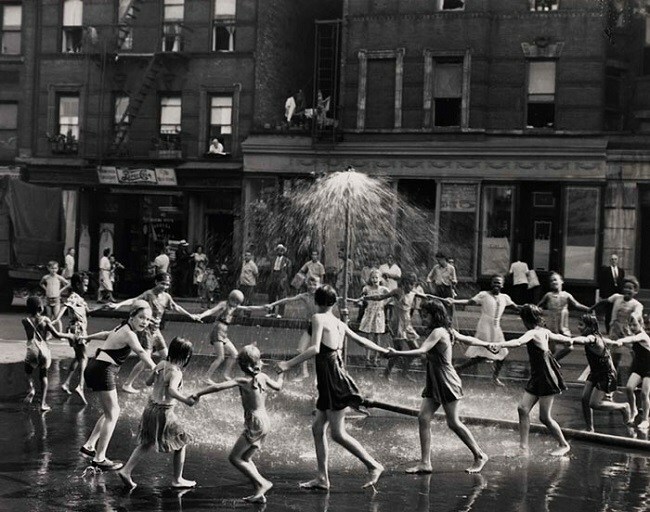 Today’s world may have the edge over history in terms of technology and other luxuries, but somewhere, it has taken away the childhood of many children. Gone are the days when children used to play outside, get dirty and even invented games to keep themselves busy. Right now, they have smartphones with internet to keep themselves busy with Facebook, Twitter and Instagram. However here are 15 images that will take you back to simpler days. 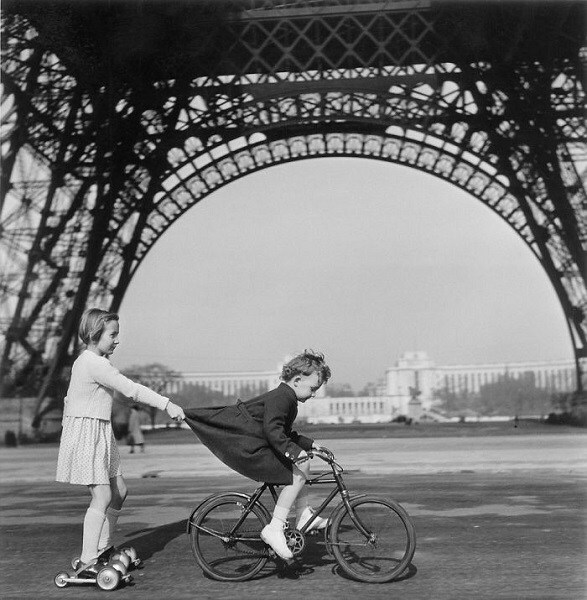 Here you can see children playing under the Eiffel Tower in France. A child riding her bike as fast as se could and another one latching on in order to go faster on her skates. Marbles have been one of the most favorite pass times of children since ancient times. 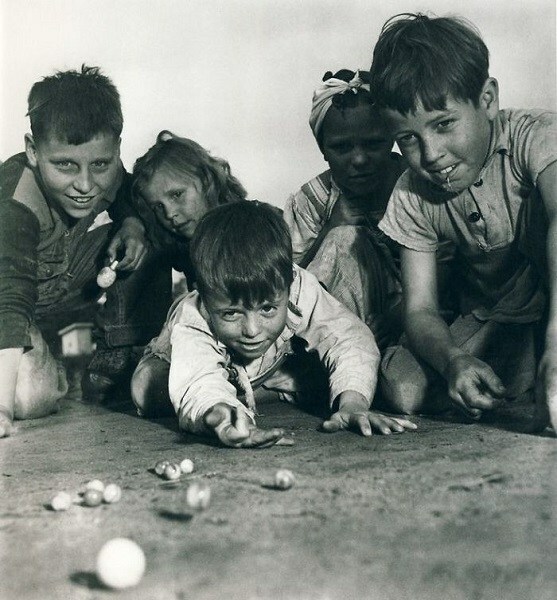 Here you can see some children being seriously indulged in a game of marbles and other children waiting. 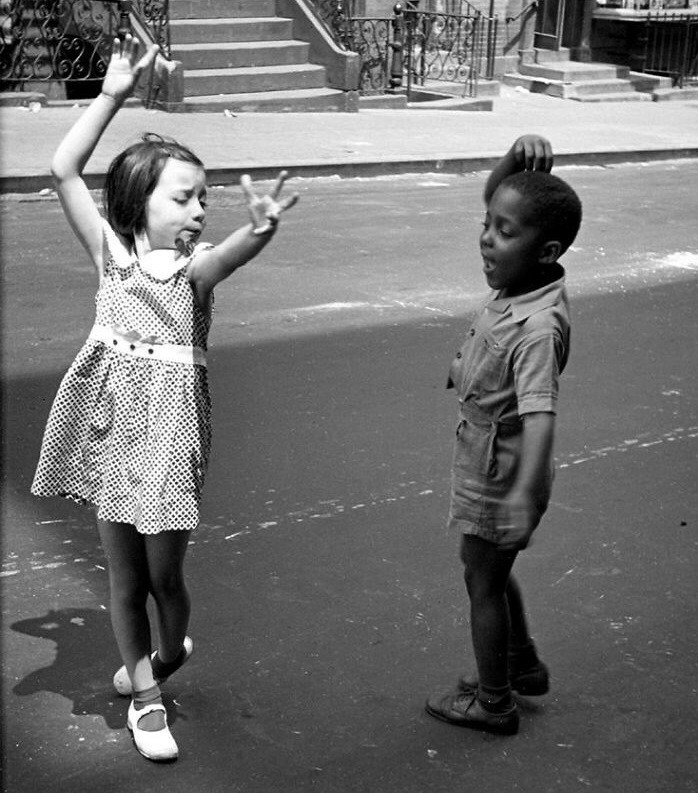 Imagine parents letting their kids do this nowadays. 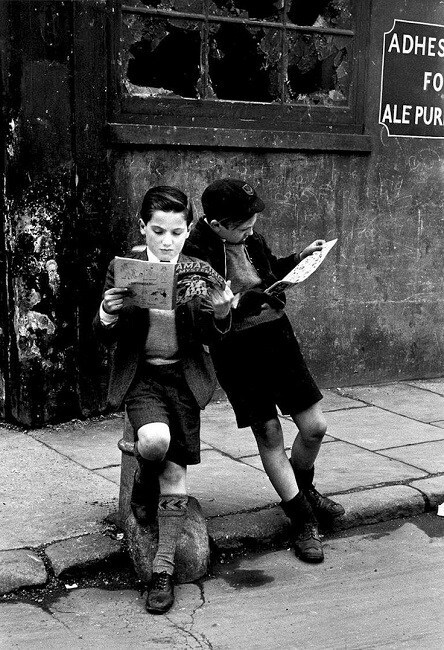 Children didn’t used to be so sheltered back in the day. They used to take risks and learn by failing and repeating things again and again. 4 Go higher!! Go Higher! 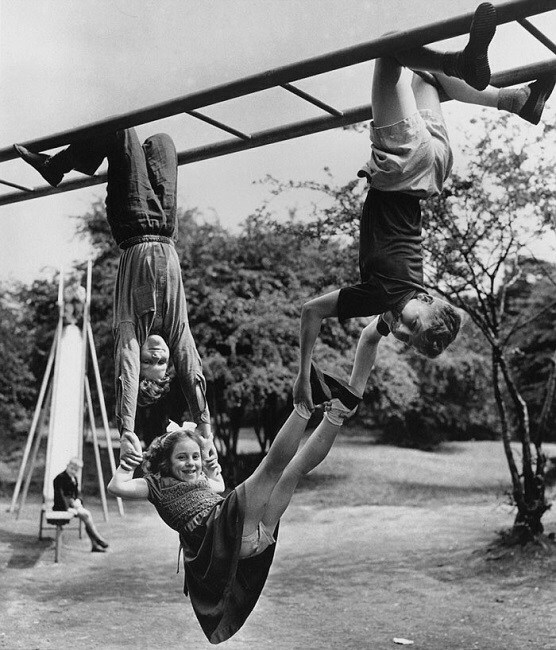 Swings have been the favorite playground thing for kids. 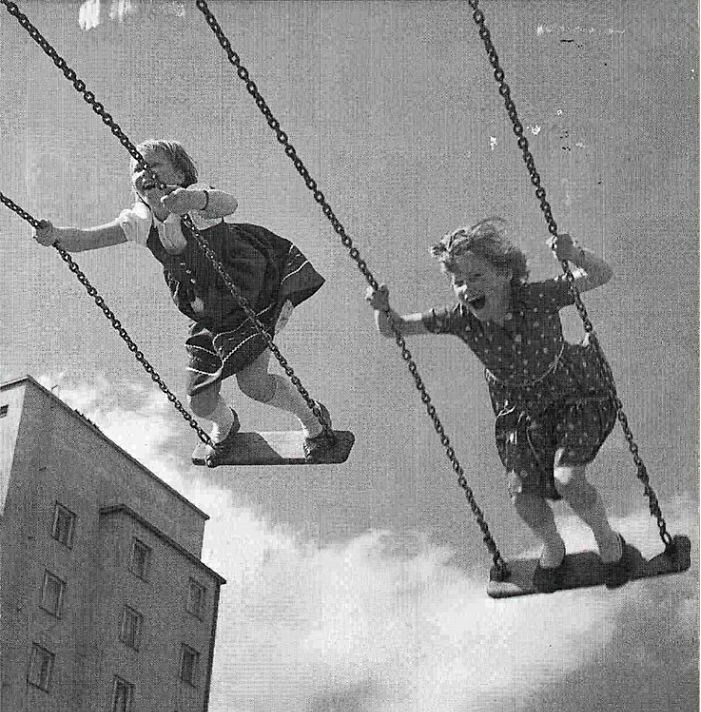 Here you see a couple of girls swinging higher and higher, to see which girl get highest airtime. Many of us have seen the movie Turbo, about a snail that could move fast. 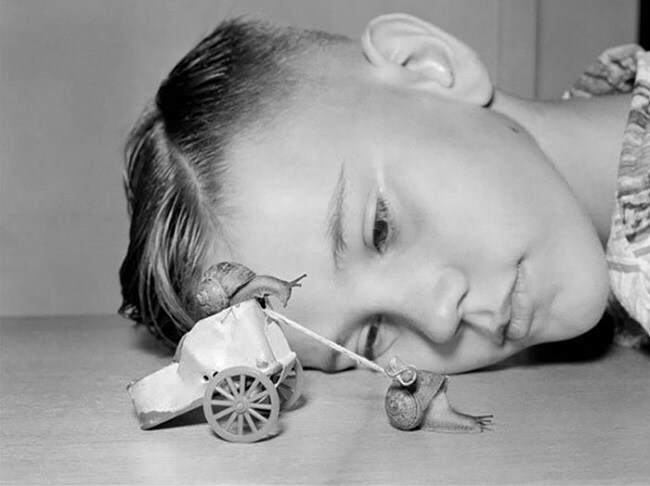 Well this is the lower budget, real time race between two snails and a kid watching them. Tensions between civilians and cops are on an all time high. 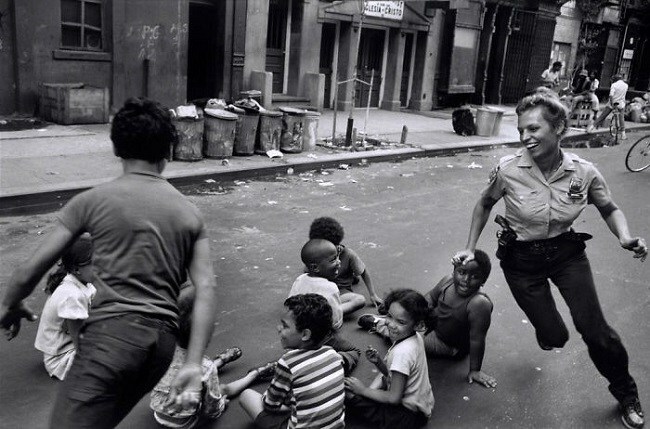 But back in the day, even cops took out some time and played games with kids on streets. Nowadays Marvel and DC come out with comics digitally instead of bringing out prints. However, today’s kids won’t know the thrill of waiting for the next issue of their favorite comic to know what happened next. Well a father is celebrating bring your kid to work day in the weirdest way possible. 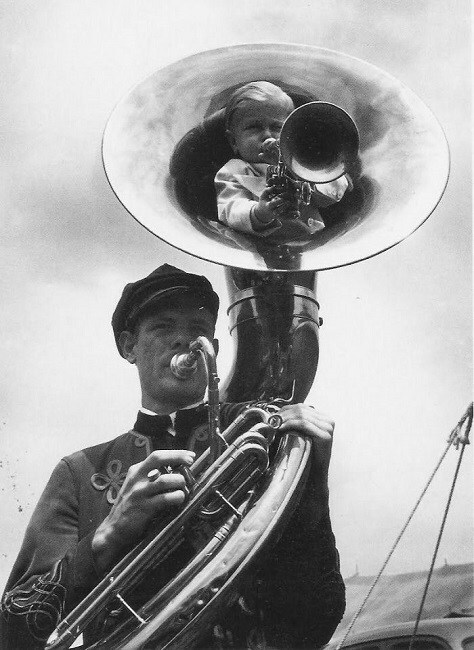 Also it’s amusing to see a kid sitting in a trumpet, playing another tiny trumpet. 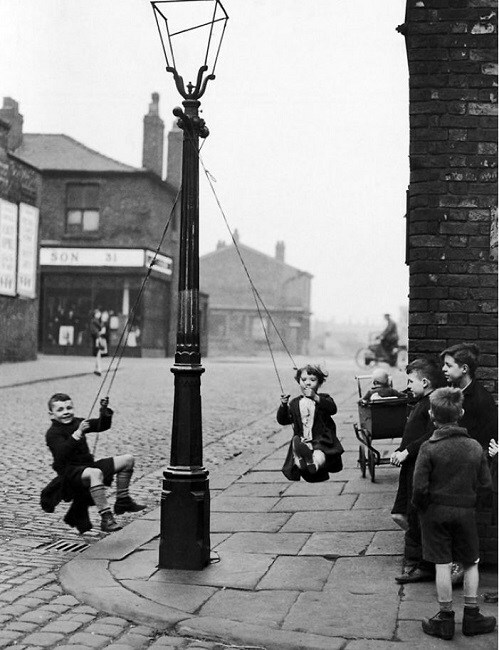 Kids swinging off a lamppost in makeshift swings are the best example of making the best use of whatever they got. Every kid must grow up with a pet, as they not only get a friend for life, but they also teach them compassion and kindness towards others. 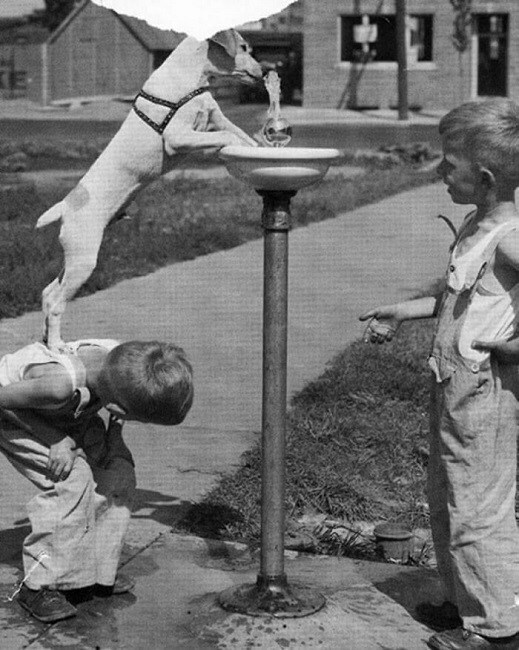 Here is one girl helping her best friend with water on a hot day. That is why you practice before friends as they are the best critics. 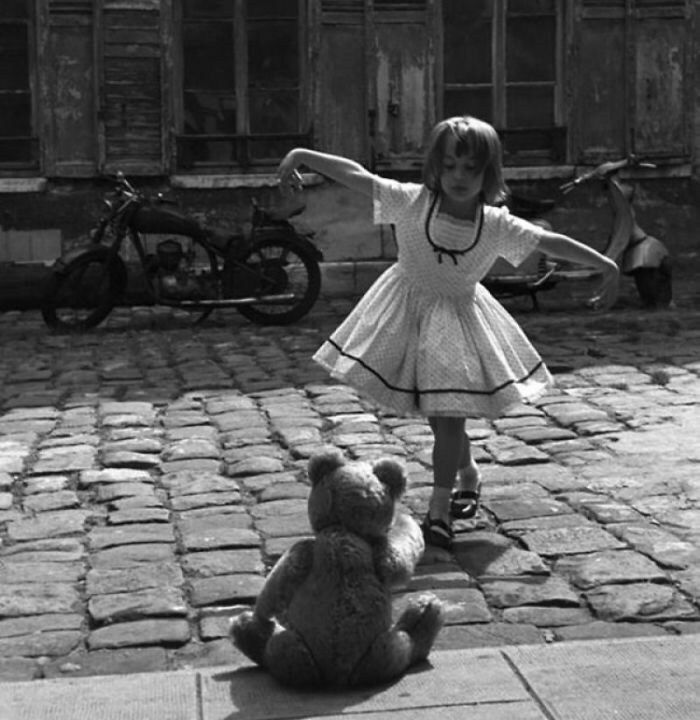 Like this girl performing in front of her teddy bear. Racism is a thing that is taught, children don’t have that idea when they are young and just want to make friends and play with them. Only adults put such thoughts in their innocent minds. 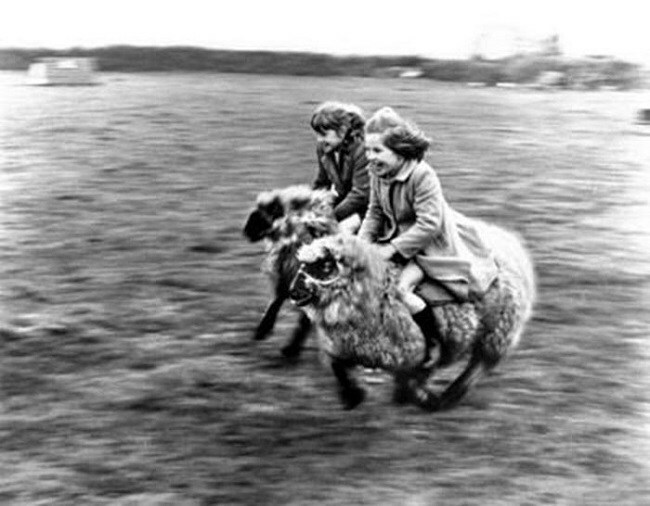 Well back in the day everything was used to have any kind of fun possible, even if it meant you had to ride sheep and race one another. 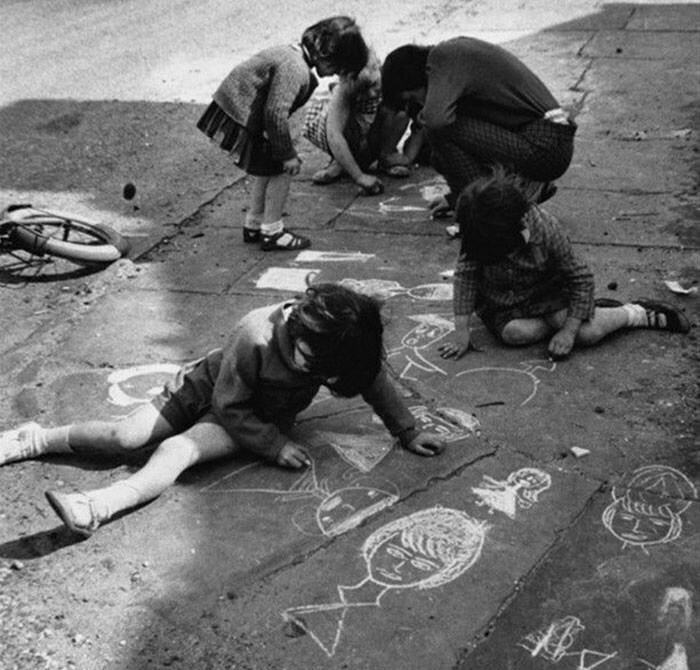 Pavements have always been the canvas for budding youngsters who use chalk and crayons to make masterpieces every day. This is the best way to beat heat and water cools everything down.